Send 1 face-up monster you control to the GY; apply this effect, depending on the Type it had on the field. 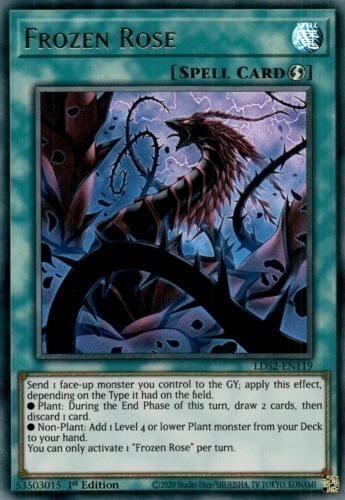 ● Plant: During the End Phase of this turn, draw 2 cards, then discard 1 card. ● Non-Plant: Add 1 Level 4 or lower Plant monster from your Deck to your hand. You can only activate 1 "Frozen Rose" per turn.